Flickr update for iOS brings Live Customizable Filters & Editing. Yahoo's Flickr announces a completely new photo taking experience in Flickr for iOS app that takes full advantage of the depth of capabilities that iPhone camera has to offer and more. Flickr come up with a camera that gives you full control over how your final photo looks, even before you snap the shot. Flickr for iOS update focused on making live inline filters and editing capabilities. Live Filters let you see how your photo looks while you take it. Swiping through live filters, you can choose composition grids, focus lock and exposure points to better set up your shot. Even our preview tiles let you see what your shot looks like live. 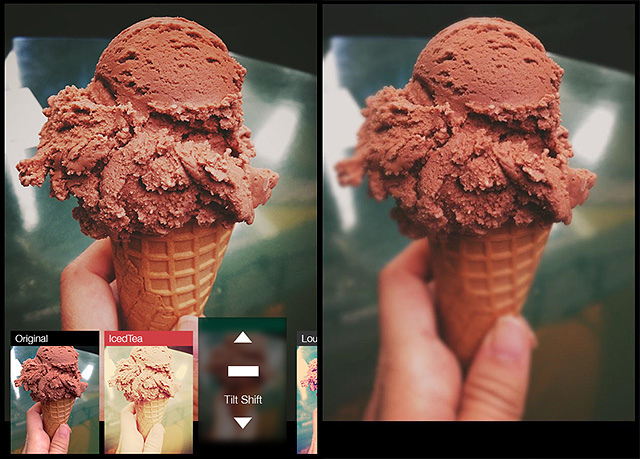 All of Flickr filters are also customizable after you've taken the photo. You don't have to leave the camera and lose focus. In addition to magic wand, Flickr adding all the advanced tools so you can enhance, crop, sharpen, balance color, use Levels, add vignette and more. You now have a complete photo studio in your hands.